This is our most adventurous snorkeling in Kauai tour. 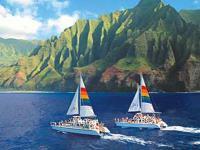 It includes everything in the Deluxe NaPali Coast Tour along with a memorable stop at the forbidden island of Niihau. Here you can experience Kauai snorkeling and dive in its beautiful clear waters. 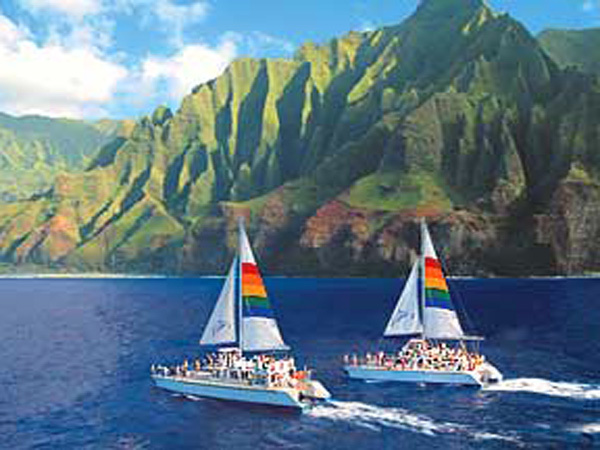 Sail the magnificent NaPali Coastline. The Deluxe Niihau Island tour includes exciting snorkeling in Kauai, Hawaiian legends, history, marine life, and bountiful food and drink (wine, beer and mai-tais). Blue Dolphin Charters is known for its well trained, courteous and knowledgeable staff. A memorable Hawaii snorkeling trip! Be sure to bring your camera to capture your snorkeling in Kauai memories! *For an additional amount, you receive all necessary instruction and equipment for a one tank dive - certified divers only. Bountiful food and drink (beer, wine, & mai-tais). Scuba divers must be 12 yrs old, Certified divers, and sign a medical and liability waiver. * Operates Tuesdays and Fridays.